Really what I wanted was an excuse to get together with a few blogger friends and chat for a bit. I also wanted a way to ease into Halloween. (I have major Halloween grinch tendencies, and most days I think Halloween is the holiday you have to get through before the real holidays can begin.) 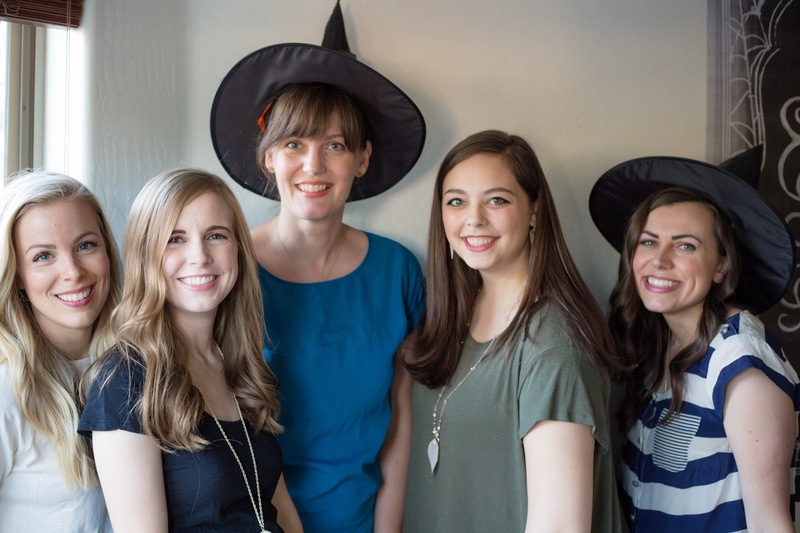 A Halloween blogger party was the perfect way to combine the two. I prefer my Halloween more classy than tacky, and heaven knows I got enough of black + bright orange in the four years I spent at Beaverton High (go Beavs). 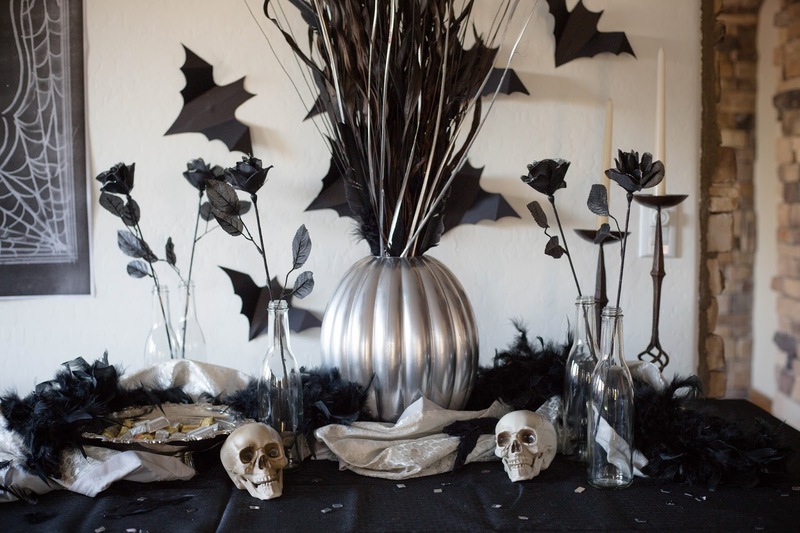 So I chose a simple black and silver color scheme, and Savers sponsored a fun, spooky, classy Halloween tablescape for my blogger party. Here's how I put this table together using only my insanely affordable thrifting supplies and some help from my amazing crafty sister-in-law Ellie. 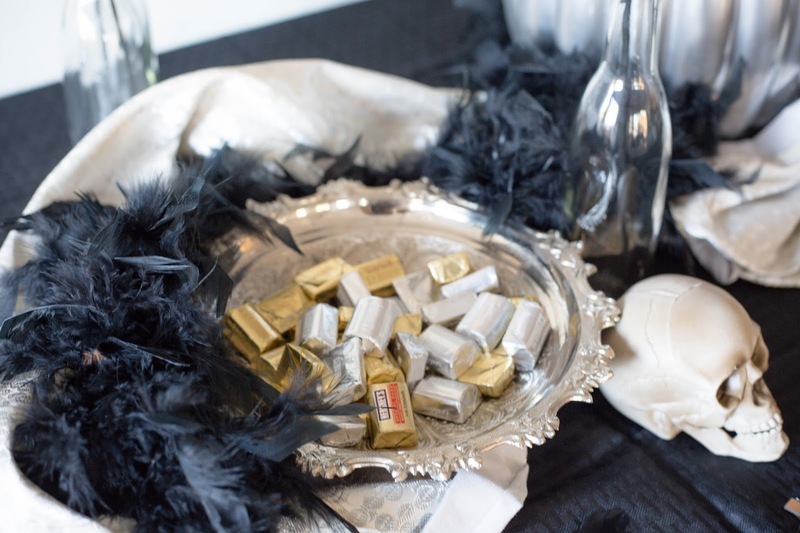 We started with a black tablecloth (Savers, $5) and added accents by wrapping around some silver pillowcases (Savers, $3) and a black feather boa (Savers, $1). 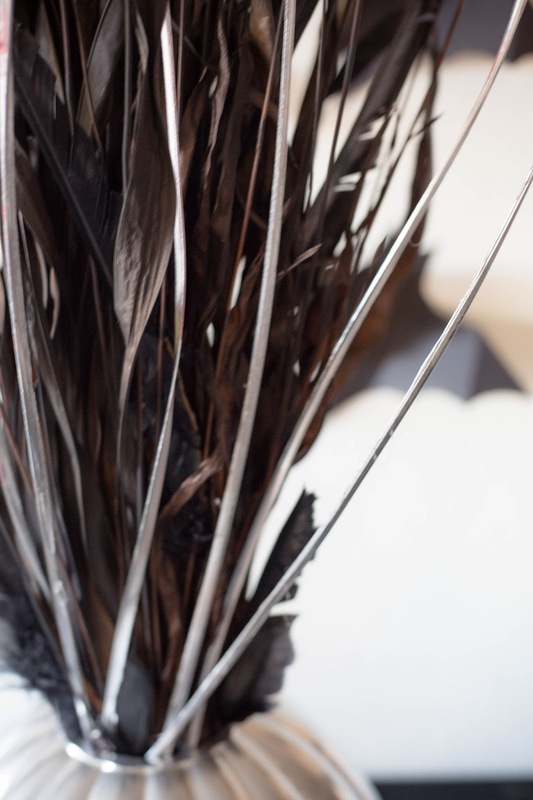 This candy dish was one of our main inspiration pieces - it was silver, tarnished, and beautiful. And you guessed it, we got it at Savers for only a few dollars. 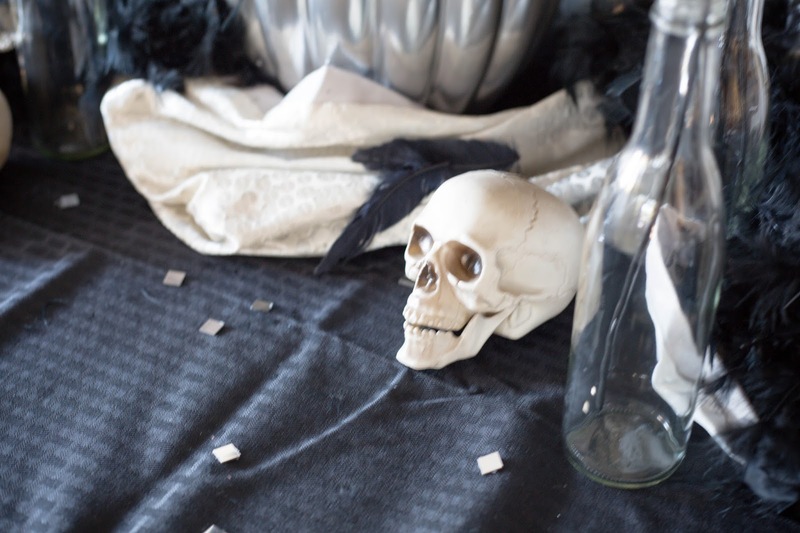 The skulls ($2 each) were one of our favorite touches. You can also see the little mirror squares that reflected the silver and contrasted with the black. We got the mirror squares by peeling them off a masquerade mask (Savers, $3). This pumpkin was our center piece and a lot of fun to make! When we picked it up at Savers ($6) it was bright orange, but one quick coat of spray paint totally changed the way it looked. 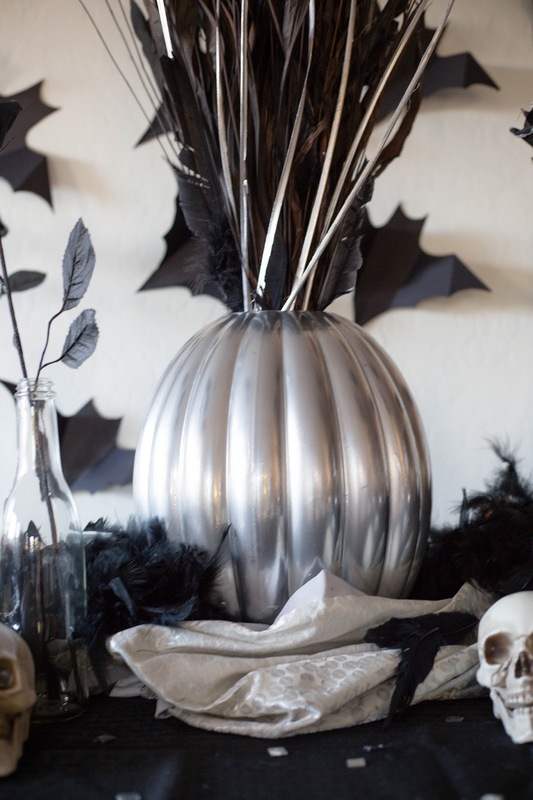 Sticking out of the pumpkin were fake corn stalks that we spray painted black - except for a few, which we spray painted silver to be accent pieces. It made for a great center piece. In fact, it's still on display at my house. 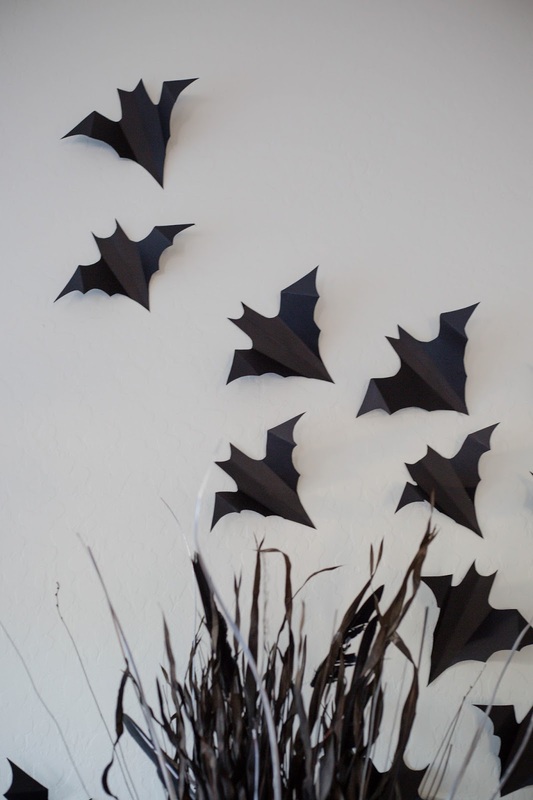 Homemade bats! 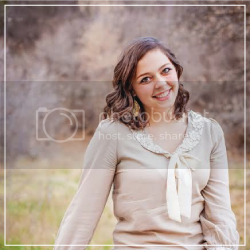 You can find a simple tutorial here. 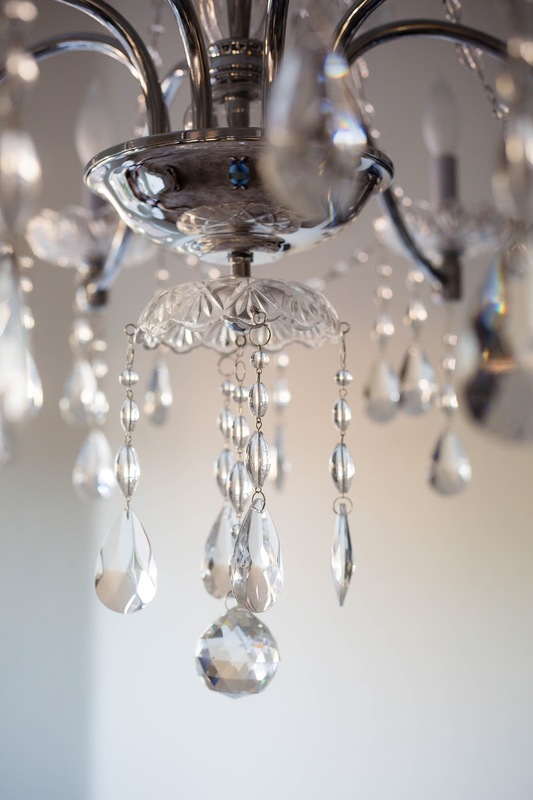 Our host, Janssen, happened to have a gorgeous chandelier that fit perfectly with the feel we were going for. 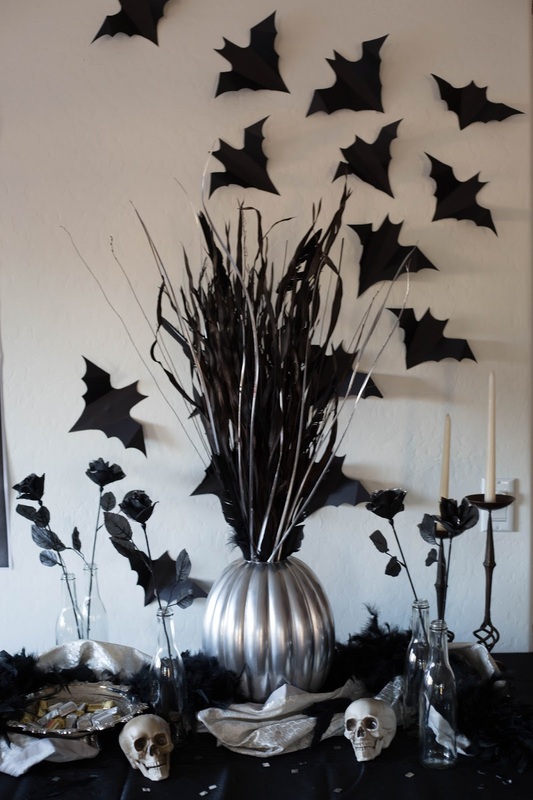 Black roses in vases ($0.99 each) and old tarnished candlesticks finished off our look. A huge thank you goes to Savers for sponsoring our party decor. Savers has aisles and aisles of new and used Halloween costumes to help you find your perfect #thriftortreat ensemble. PS - Local bloggers, if I put together a little Christmas tablescape, who would want to come and enjoy it with me and take pictures? Any volunteers?